More famous and much more popular (even today) than the Vega Phone series was the Vega Vox. These models began in production in 1927, and were produced for many years, and through several changes in ownership of the Vega Co. 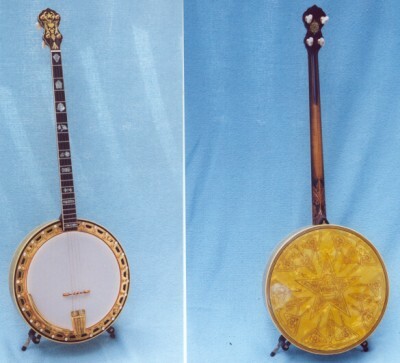 The construction of the Vega Vox had a completely different, and unique style from any other banjo ever made. The resonator entirely encloses the rim up to the top tension hoop and flanges. 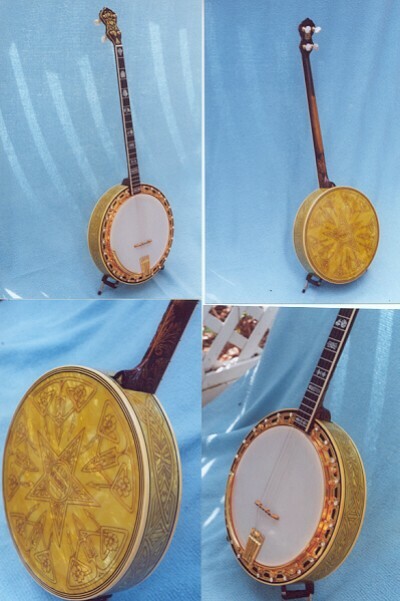 The body has an inside rim of six ply laminated maple mounted with the Tu-ba-phone tone ring. The wall of the resonator is 2 3/4 inches deep. However, the neck is virtually the same as the one used on the Vega Phones. 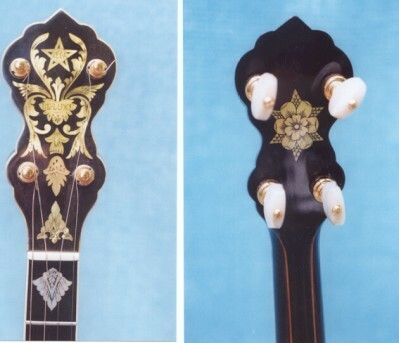 The top of the line was the Deluxe Vega Vox, and many were custom made, with many variations of designs. The plectrum pictured here was obviously custom made, with an extremely unique decorative motif. 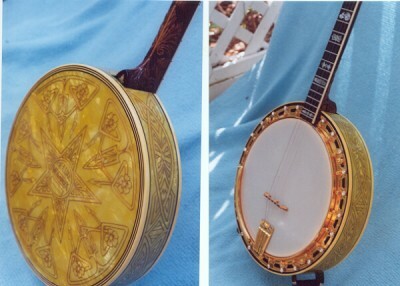 The entire resonator is covered in green celluloid, and the etched designs are finished in gold leaf. The serial number of 46266 would place it's production in the late 1920's.